Dr. Milind Ambe, leading plastic surgeon in Newport Beach, California is the newest member of the elite Haute Living Haute MD Network. Dr. Milind Ambe, leading plastic surgeon in Newport Beach, California is the newest member of the elite Haute Living Haute MD Network. An exclusive invitation-only group, the doctors representing the network are at the pinnacle of their industries. Dr. Milind Ambe was handpicked for his exceptional skill in cosmetic facial surgery. 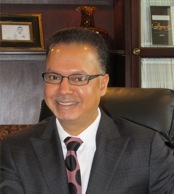 Haute Living Magazine will feature Dr. Ambe as an exclusive Haute MD. The exclusive Haute Living Haute MD Network is made up of the most prestigious doctors across the US. Doctors are revered and invited for their skill in one of nine specialties: Breast, Face, Smile, Nose, Skin, Body, Bones, Hair, and Lasik. The Haute MD blog is frequently updated with groundbreaking news, trends and events in the industry, and is the ultimate source for finding the best doctor in your area. Visit http://www.hautemd.com today. French-Canadian born Dr. Milind Ambe completed his undergraduate education, medical school and subsequent seven years of intensive surgical training in Southern California. He has operated his own private plastic surgery practice in Newport Beach since 1998, where he specializes in all aspects of cosmetic and reconstructive surgery. In 2004, he created the Newport Center Surgical located in Newport Beach, a fully accredited state-of-the-art outpatient facility designed to allow patients to return home on the same day post-surgery. The Center offers a range of surgical specialties including: Ear, Nose, Gastroenterology, General Surgery, Gynecology, Pain Management, Plastic Surgery and Podiatry. Dr. Ambe is certified by the American Board of Plastic Surgery and is a member of the American Society of Plastic Surgeons as well as the California Society of Plastic Surgeons and the Orange County Society of Plastic Surgeons.